Historically, the U.S. health care system has been centered on providing “sick care.” People who are sick or injured seek treatment from health care providers and pay for those services through a fee-for-service (FFS) model. In 2010, that all changed with the passage of the Affordable Care Act (ACA). The ACA is centered on the concept of the Triple Aim, which says to improve the U.S. health care system we need to improve the patient care experience, improve the health of populations, and reduce the cost of care.In order to achieve those goals, the existing FFS payment model and health care delivery system need to change. The ACA strives to move the needle from FFS to value-based payment through innovative reimbursement models such as pay-for-performance, shared savings, capitation, and bundled payments. The overall idea is to improve the health of Americans by focusing on prevention while reducing costs.This means providers need to be compensated for keeping patients healthy and out of the hospital. Technology is a key factor in helping providers and patients accomplish that goal. Doctor OnDemand and HealthTap are apps that help connect patients with a physician to answer questions or even have a telemedicine consult. Fooducate, Glucool Diabetes, Diabetes Pilot, Asthma Buddy and the Asthma Journal are apps that help patients manage chronic conditions. FitBit, the Leaf Healthcare Sensor, QardioCore and Intelligent Asthma Management are devices that people can wear to manage chronic conditions or help stay healthy. Physicians are also starting to incorporate apps such as Epocrates and UptoDate, which provide a wealth of information including drug interactions and disease facts, into their practice.In addition, we are seeing major companies like Google and Apple Inc. jump into the health care arena. Google has partnered with drugmaker Novartis to develop smart contact lenses that monitor blood sugar levels through miniscule sensors. It also launched its version of a fitness app—Google Fit. Similarly, Apple’s newest health care platforms—ResearchKit and HealthKitare poised to benefit researchers, physicians and patients. ResearchKit enables researchers to create apps that take advantage of iPhone features to gather new types of data on a large scale. HealthKit offers consumers an easy to read dashboard for fitness and health data, including an emergency card with important health information such as blood type and allergies that is accessible to health care providers even from a locked screen. 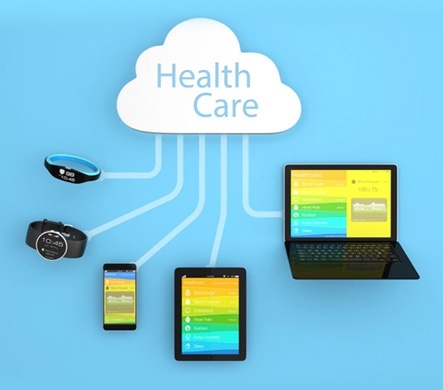 There is no doubt that the new era of digital health care has arrived. Now the challenge is to overcome privacy and interoperability barriers, so these new innovative technologies can accomplish their goal of helping keep people healthy.